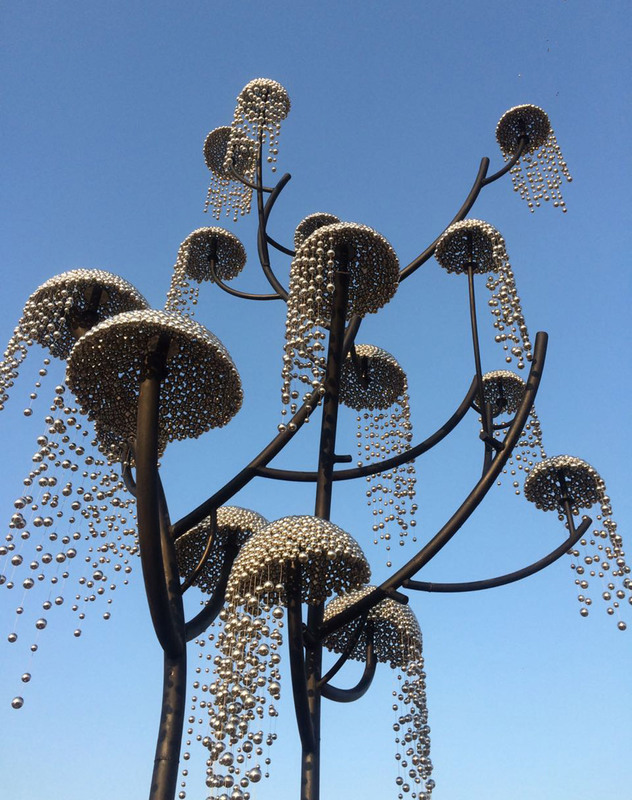 Kalpavriksha – the wish fulfilling tree is designed as an abstraction of a tree and embraces the nature of life and constancy of change. 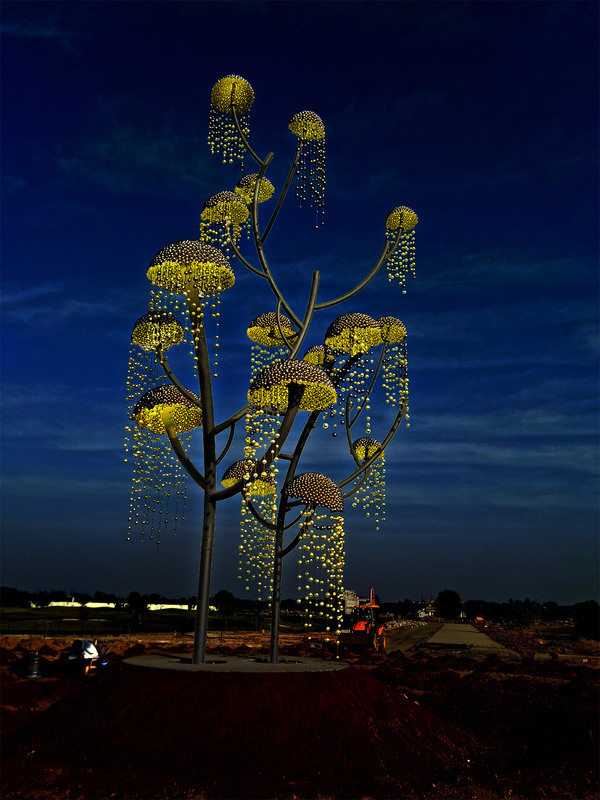 Kalpavriksha is a sacred tree in Vedic, Jain and Buddhist beliefs. It is a mystic symbol that grants every wish of man and provides for all human needs. 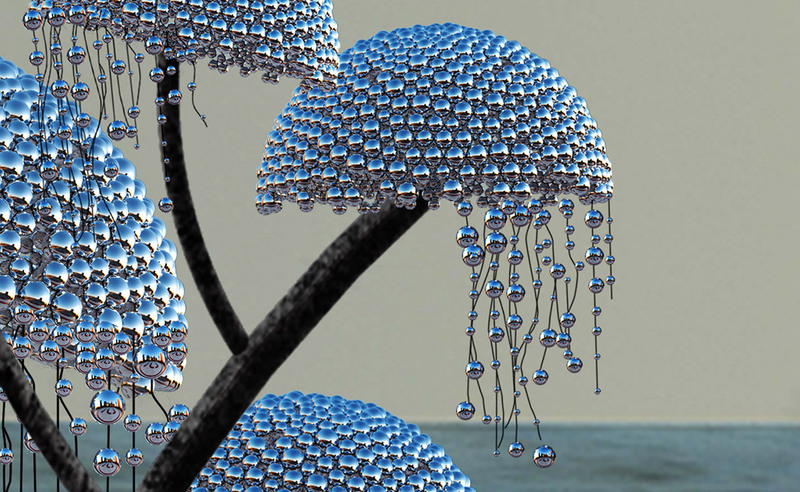 The installation is a modern interpretation of its form, reflective of the stunning landscape. 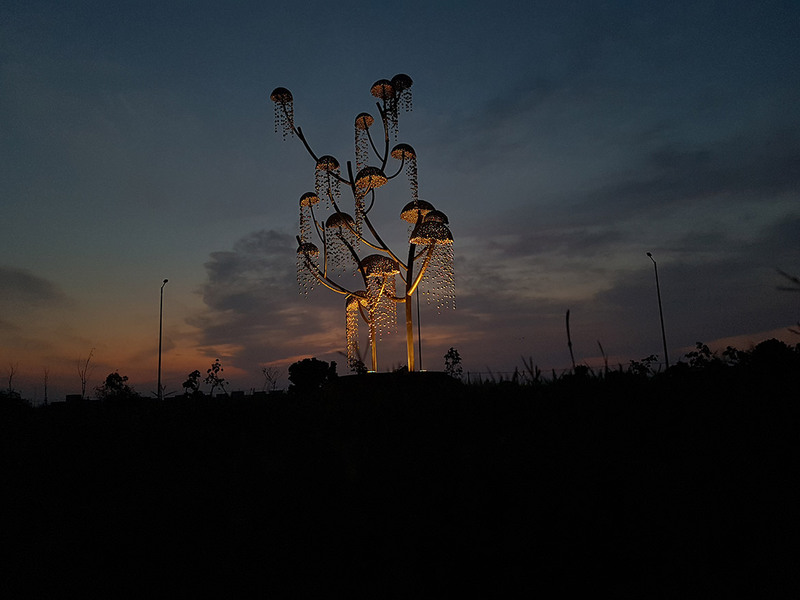 Crafted from mirror-finished steel globes, the dynamism and versatility of the Kalpavriksha contributes to the manifestation of the whole roundabout as a point of visual focus for the community.